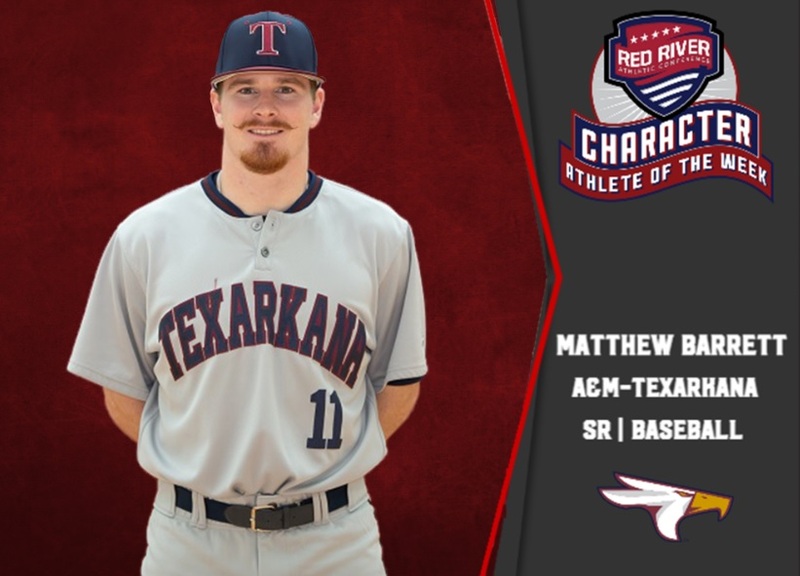 TEXARKANA, Texas – As part of the RRAC’s commitment to the NAIA Champions of Character program, the conference recognizes student-athletes from member schools that have exhibited a high level of scholarship, sportsmanship, integrity, responsibility and community service. One student-athlete is selected each week based on their character and commitment to their schools and communities. Matthew Barrett is the 11th selection to be recognized for the 2018-19 academic year. • Future Plans: Matthew plans on pursuing a career in the development and production of robotic prosthetics with hopes of working individually with veterans. A&M-Texarkana Schedules Press Conference to Introduce Basketball Coaches. TEXARKANA, Texas – Texas A&M University-Texarkana will hold a press conference Monday, March 25, to introduce the university’s first-ever men’s and women’s basketball coaches. The press conference will begin at 10:00 a.m. in the gymnasium of the Lois & Cary Patterson Student Center. Both coaches, Athletic Director Michael Galvan, and TAMUT President Dr. Emily Cutrer will be on hand to speak about the basketball programs, which are scheduled to launch in the fall of 2019. There will be refreshments and a meet and greet session immediately following the press conference. Please join us as we kick off this exciting new era of Eagle athletics.